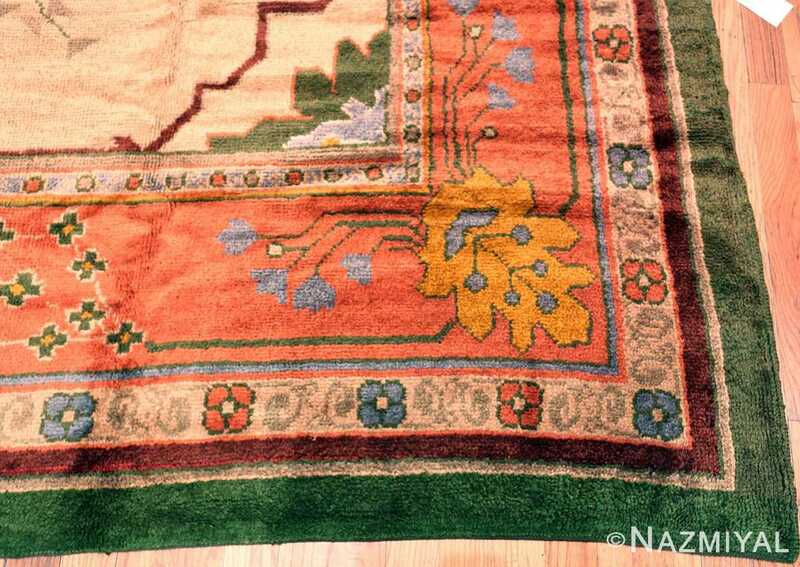 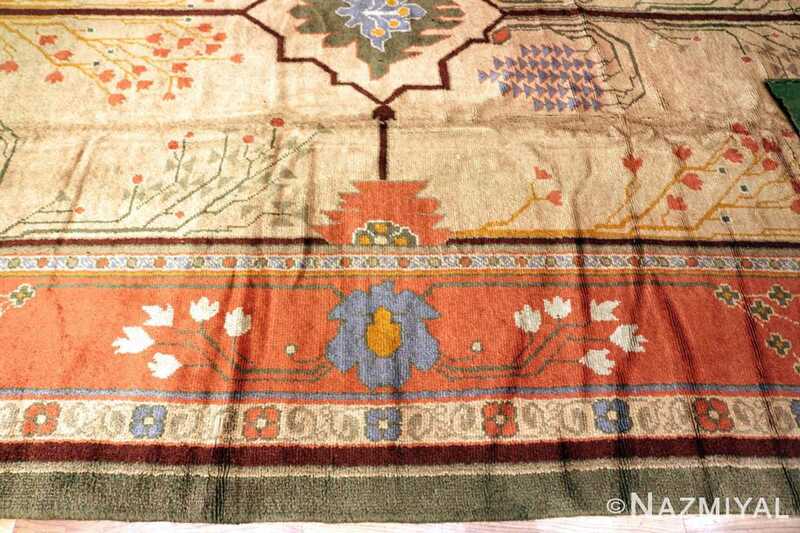 A Highly Artistic Large Size Antique Ivory Cream Colored Field Irish Arts and Crafts Donegal Rug, Country of Origin / Rug Type: Irish Rugs, Circa Date: 1920 – This beautiful arts and crafts rug at first appears to be something that it is not. 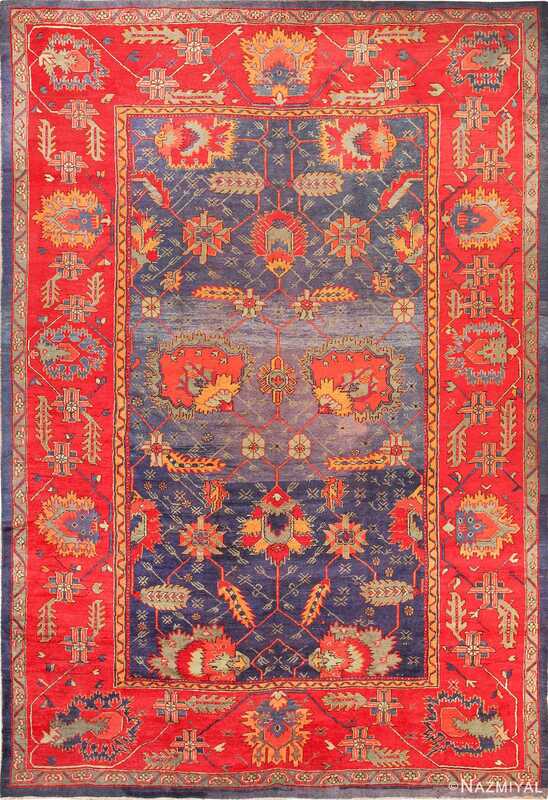 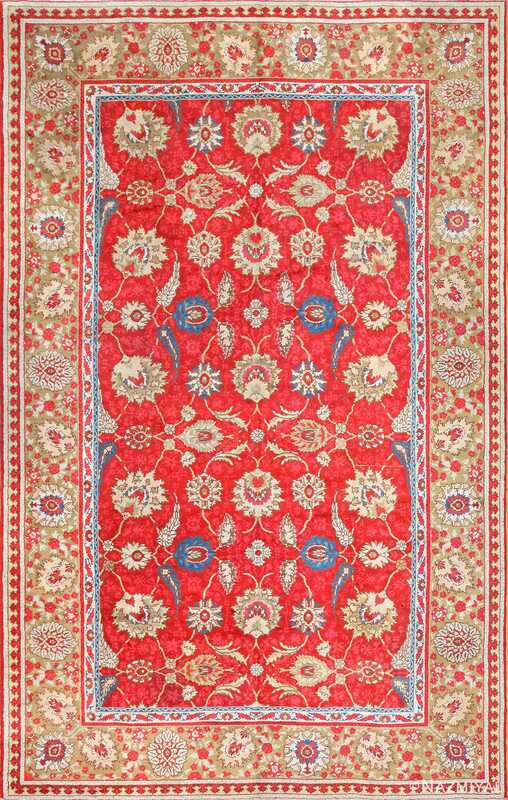 This alluring antique Donegal rug combines elements of a Near East, Persian, and Chinese design. 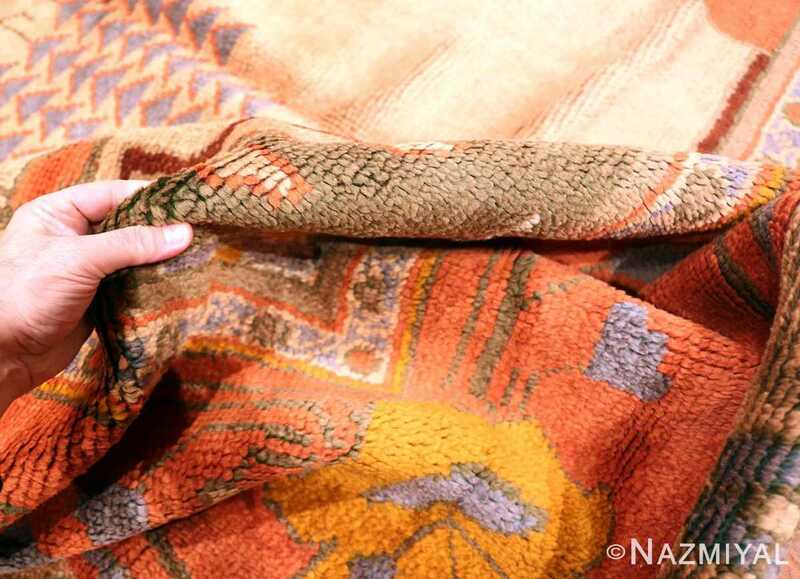 It has all of the traditional design elements of the traditional antique rugs of that region, but it was actually produced in Donegal, Ireland in the mid-1920’s as parts of the arts and crafts revival movement. 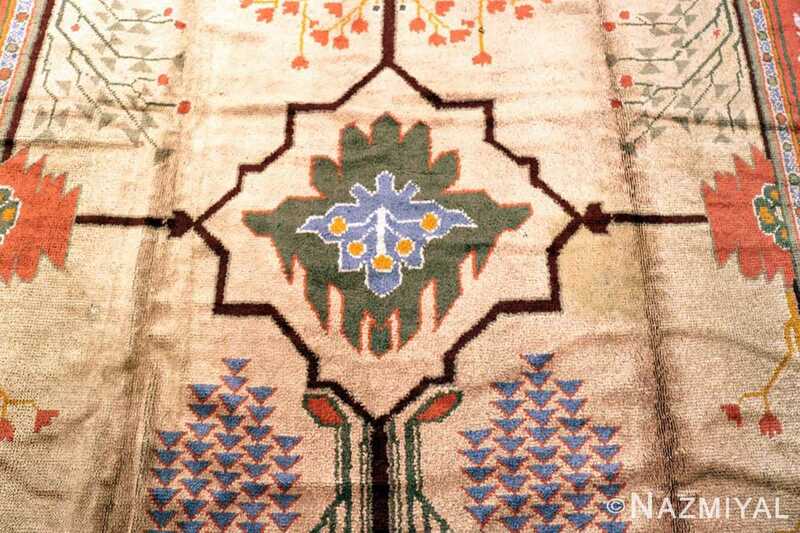 The 1920’s saw a revival of traditional designs from the Victorian era and earlier. 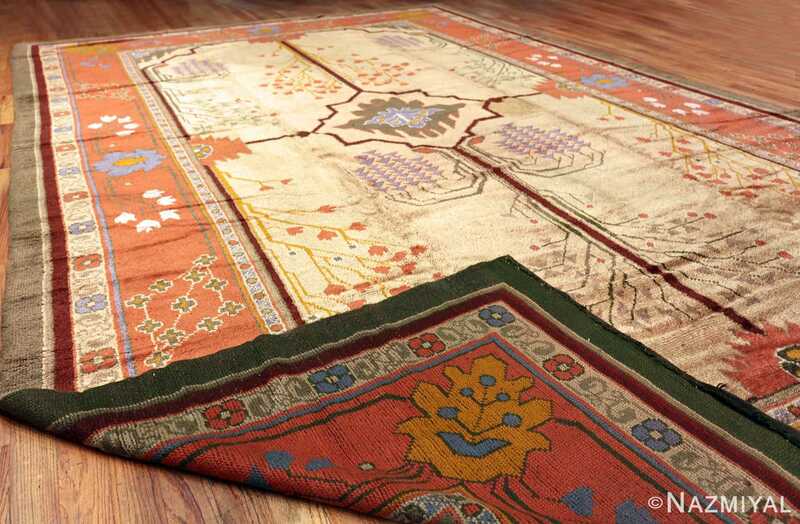 This impressive Irish rug is fascinating both from a design perspective, and its nontraditional use of traditional near Eastern and oriental elements. 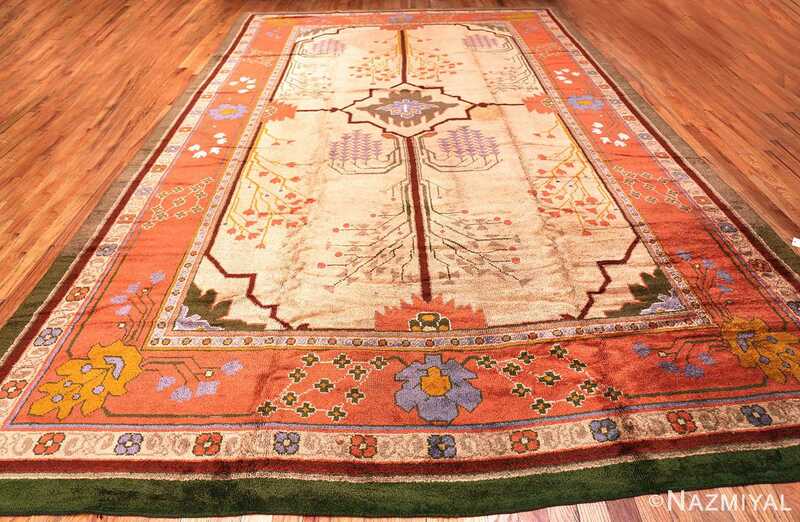 The magnificent Celtic rug is structured on a central medallion with corner brackets and a formal main border. 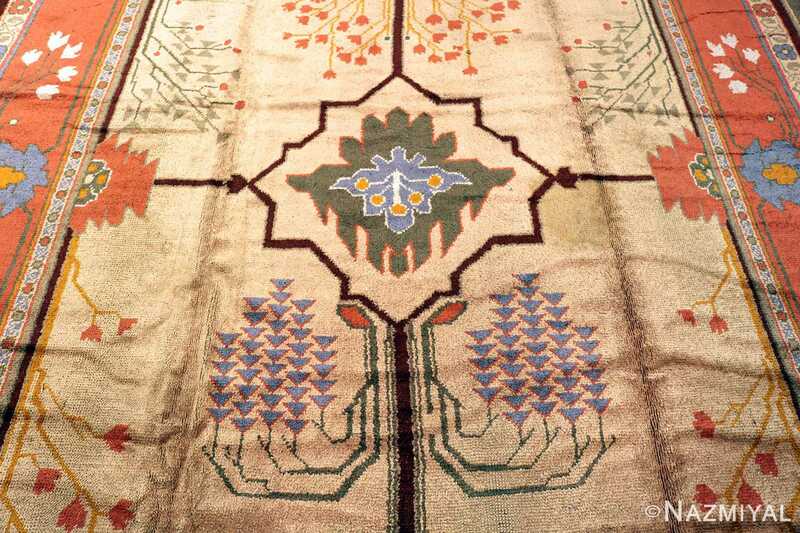 The formal elements are arranged so that it gives the Irish arts and crafts Donegal rug a sense of structure that has both horizontal and vertical symmetry. 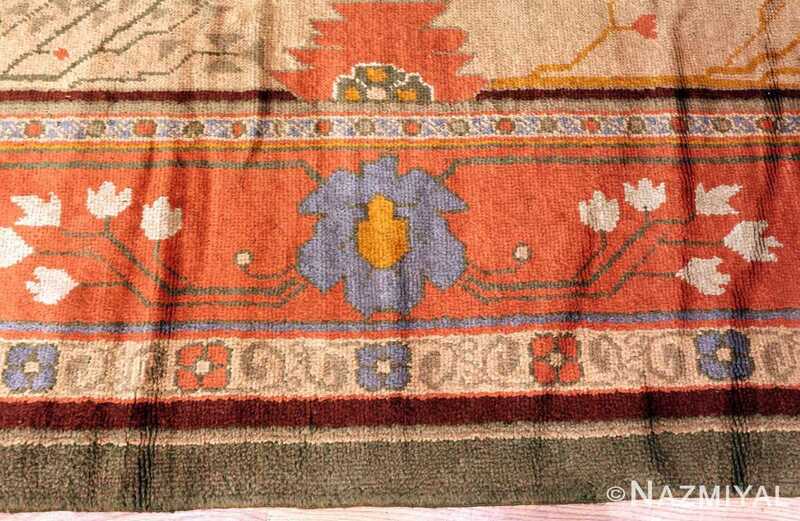 However, the design elements placed within them are asymmetrical and follow the flowing organic lines that are often seen in Chinese rugs. The contrast of formal geometric structural elements and flowing, organic motifs within them provides visual interest that creates unexpected lines and forms within the design. One will notice that some of the design motifs seem to be pointing in one direction, but others point in the opposite direction. 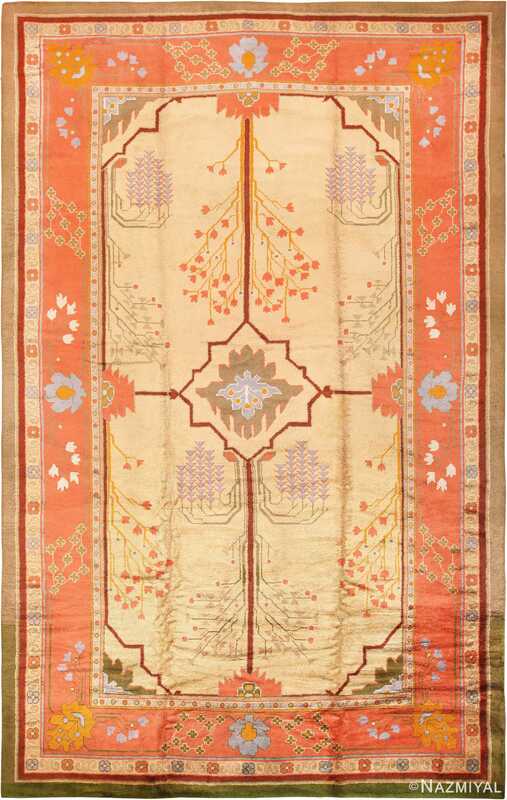 The asymmetrical use of design motifs gives this large size rug an informal, natural feel. This gives the antique large Irish Donegal arts and crafts rug a versatility that could be used in either a traditional or modern, contemporary design. 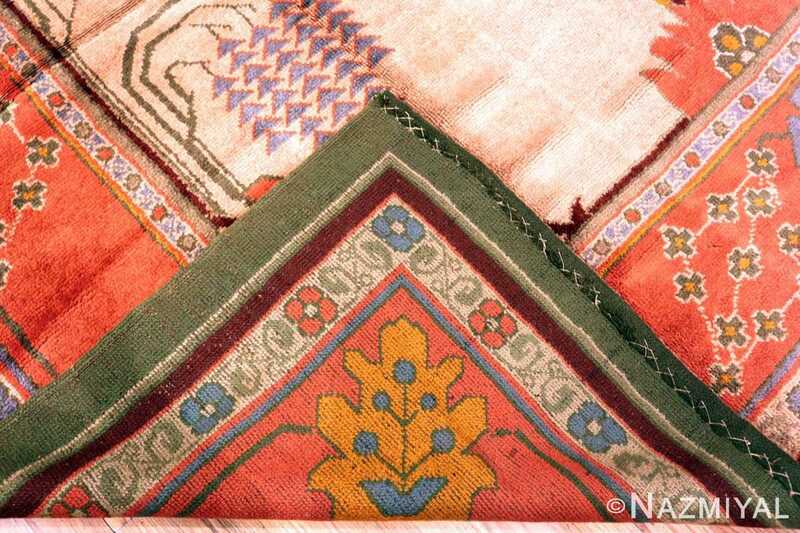 It would work wonderfully as an authentic artifact in almost any home interior decor that was constructed in the arts and crafts era.